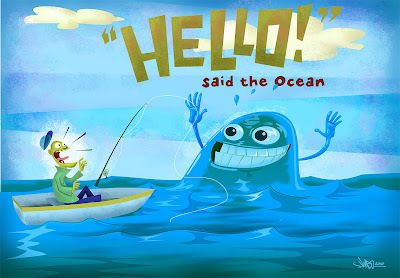 James Elston Illustration blog: "Hello!" said the Ocean. Yessss! I love it when the ocean does that! The ocean looks so friendly! But for some reason the guy in the boat looks a little freaked out. I wonder why? Love the way you did the water effects on this one. You've got a really fun style!